Bathrooms were traditionally supplied through the plumbing trade; but now more people are turning to professional interior designers to help them create the bathroom of their dreams. One that meets all your lifestyle needs within the confines of your available space and budget. A truly beautiful bespoke bathroom surrounds you with luxury, from streamlined glass to gleaming marble. It’s the ultimate spa-like indulgence, but requires impeccable planning and skill to achieve. Interior designers, architects and bathroom planners choose Showerpower’s bespoke glass service for bathrooms so they won’t have to compromise on their innovative ideas. 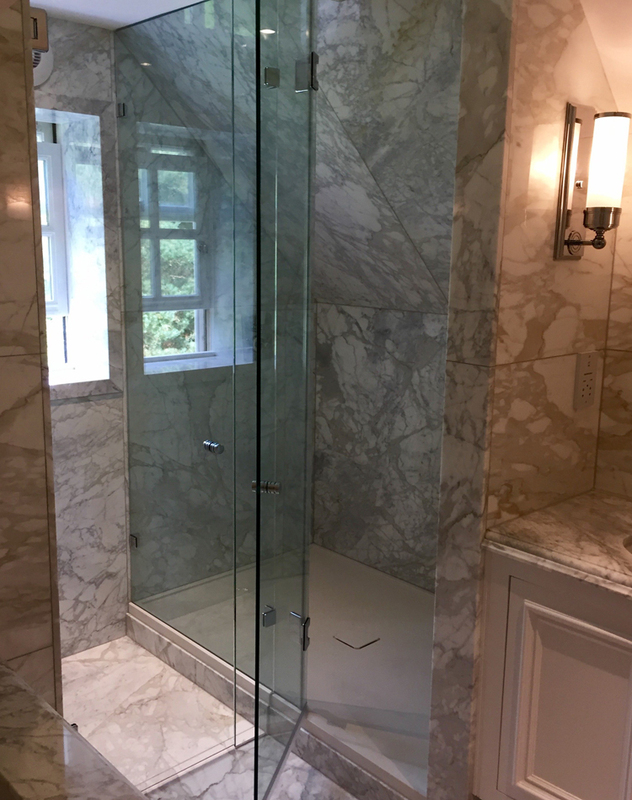 Whether it is a glass shower enclosure, panel, partition or bath screen; our frameless glass can be created and installed to accomplish any unique design vision, however unusual or challenging the space. We work with a highly-discerning client base who require the flexibility of our bespoke glass service, as well as the excellent support and unrivalled technical expertise we provide. Showerpower can offer you invaluable guidance throughout the whole process of planning and fitting out a bathroom, shower room or wet room. With made to measure frameless glass we can bring any design to life and ensure your bathroom project happens on time and on budget. You can see more examples of our custom-made glass bathroom and shower projects here and for more information please email us at info@showerpower.co.uk or call 01403 829020.